LAUDERHILL, Fla -- Following a controversy-saturated 2018 midterm election and a recount during which she and her office came under extreme criticism, Broward County Supervisor of Elections Dr. Brenda Snipes is stepping down, CBS Miami has confirmed. The story was first reported by the South Florida Sun-Sentinel. The newspaper says Snipes' long tenure has been filled with "botched elections, legal disputes and blistering criticism." Word of the major shakeup in the Broward County Department of Elections came just hours after it concluded its hand recount in the hotly contested Florida Senate race in which Republican Gov. Rick Scott eked out a win over incumbent Democratic Sen. Bill Nelson. Snipes submitted her letter of resignation Sunday evening, ending her nearly two-decade tenure as Broward's elections leader. BREAKING: Broward Elections Supervisor Brenda Snipes has submitted her letter of resignation, @CBSMiami has confirmed. CBS Miami learned Snipes submitted it to the state. The Sun-Sentinel reported it will go into effect in early January. CBS Miami reached out Sunday to Scott's office and the division of elections but hasn't gotten a copy of the letter. 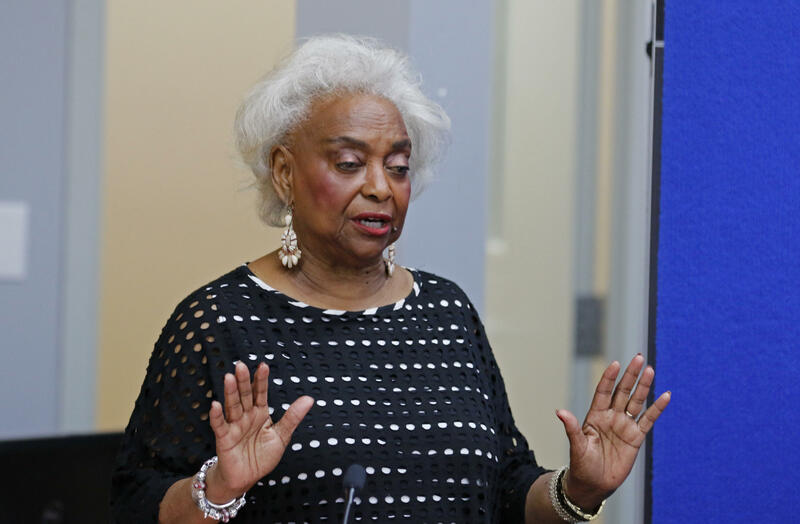 Since Election Day, Snipes and her office have faced fierce criticism failing to release public records, being one of the last counties to finish counting ballots, and misplacing more than 2,000 ballots. Snipes said those ballots were tabulated before the mishap. Snipes, 75, was appointed to the position in 2003 by then-Gov. Jeb Bush. She was elected to a full term the following year, then she was re-elected in 2008, 2012 and 2016.